In February I announced that after three years of struggle I’d reached breakeven. This has made new things possible – for instance, an office outside the home. It also makes possible a new policy for pricing my speeches. This is a significant moment, so I’m breaking this into two posts: today the background, tomorrow the new policy. It’s been an uphill climb. Like many before me I’ve had many requests to donate my time: “We’d love to have you speak, but we don’t have any money” (or hardly any). I want to do everything I can to foster the growth of this movement, both by changing the business climate and by helping others step in. So there have been issues to think about and manage, both on the business dimension and in the progress of the “movement,” if I can call it that. Business issue 1: Creating a market by demonstrating value. Some folks create events out of whatever speakers they can get for free. That’s fine if it works for them, but it’s not what I’m talking about. “No, I can’t donate my time to you – not even over the phone. that’s fine; business is business. in a report or a conference. Business issue 2: Earning it. Happily, hundreds of people have agreed and have become clients. I work to earn it: I don’t just show up with slides and talk; I work hard at understanding what the client wants, so that they’re satisfied and they tell their friends. The results are on my Testimonials page. Movement issue 3: I’m priced out of some segments. As my value has risen among the first wave of conferences – the bigger ones – demand has grown but I’m out of the price range of a second wave: events who want the message but can’t afford my prices now. Our movement needs to reach those events, too. It’s time to give back and build forward. 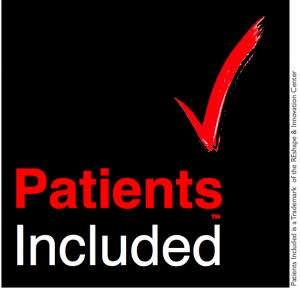 Mentoring new patient speakers, who I hope will be hired by conferences that want “patients included” at more affordable prices. I’m doing this initiative via my Speaker Academy blog series this month. Note: this isn’t a quick fix; new speakers will need to earn their credentials by building a reputation and marketing themselves effectively. I’m sharing my method, and the rest is up to them. Thank you, thank you, thank you to all the people who’ve supported me, directly and indirectly and with advice since my first speech in 2009, and especially those who started paying when I tried to “go pro” the next year. And thank you, thank you, thank you to all the patient voices through the years who created this movement. I want to give you a big kiss smack on the lips, brother. This is something that every single one of us on the “patient side” has had to struggle with in our work to improve healthcare. The saddest thing is that the organizations that most need culture change in this area – patient relations, patient empowerment, whatever you want to call it – are the ones that are least likely to find any room in the budget to MAKE.THAT.HAPPEN. Or, worse, they have mega-bucks for big consulting firms, i.e. McKinsey or Accenture, and they bring them in to work their “magic” – which magic always involves making the C-suite folks happy, and feeling like they’ve done something in service of “patient engagement.” The actual results might have almost no impact whatsoever on HCAHPS scores, but boy-howdy will there have been a nice fat fee for the aforementioned consulting firm. My idea is that, for a fraction of that fee, they could hire a few ePatients to come in and work with their teams on culture shift, tech issues, patient safety, team-building, and a host of other areas of need. Most of the folks in the ePatient community already have long and impressive CVs outside of healthcare, and they’re now focusing all that expertise on improving the healthcare system … and getting the equivalent of a turkey sandwich for their efforts. Like I said: full-on kiss on the lips, dude. This is EPIC. I urge you though to think back to the Speaker Academy post about getting our heads into THEIR world, as sure as they need to think from our POV. I’d bet my house that most who hire such consultants are doing the thing that makes most sense to them. We may find fault with that but until WE become “the thing that makes the most sense,” that will continue to be the case. My recent speeches at Kingston General Hospital and at the Saskatchewan Health Quality Council are two conspicuous examples of organizations that are way ahead in making Patients Included a reality. It’s hard to tell whether the strong patient presence at both events is the chicken or the egg. Heck, at KGH, they have patients on the hiring committees that approve new docs – because no matter how good the credentials might be, if the doc gives a patient the creeps, the hospital doesn’t want ’em! Where’s the freakin’ LIKE button? Your point about hospitals is one I know the solid truth of – my work as a hospital-medicine journo over the last couple of years tells me that within the walls of hospitals there are people as passionate and forward-thinking as the most creative of us on the ePatient side of the aisle. If we work together, imaging the seismic shifts we might effect. You, and I, and others are moving the needle on making us “the thing that makes the most sense” – the examples you point out show that it’s WORKING. Thank you for your wisdom and for paving the way. this is NEWS Dave! I’ll shout it out tomorrow! that’s fine; business is business.” I’ll let you know how it goes. Thanks! To be clear, when you’re new in a field and have no reputation, in my view ya GOTTA give some away, the same as anyone who offers free samples. Otherwise how can anyone know what they’re buying? It’s our responsibility, I think, to *earn* customers. My point though is that no conference organizer should expect free content from people who don’t have a day job, and we shouldn’t feel obligated to keep doing freebies after we’ve established that we’re competent contributors. Congratulations. We are proud that you are our standard-bearer. Prouder still that people value your contributions so much that they will pay good money. Hats off, and let us know if we can help! A quote comes to mind: “you can easily judge the character of a man by the way he treats others who can do nothing for him”. Your generous spirit in helping groom the effectiveness of other “patient voice” speakers is pretty cool. Looking forward to helping you spread the word and watching what happens. And, a great big congrats to YOU…you worked (and work) your a** off for it! Thanks, Pat, but do note that I know other speakers CAN do something for the movement. And yeah, some people can’t believe it, but I really am in it for the movement too… as you are, I know. Yeah Dave – I have often wondered how long it would take for the industry to value our voices enough to pay for them so I took another route and work on trying to change the systems on the other end. Partly it is the result of not wanting to travel and talk and instead help build the platform and support those like you who can put up with that lifestlye but mostly it is because I know we need to both empower people at the same time we empower entire systems of care. People pay me to do the type of work I do (mentoring govt orgs to become more entrepreneurial and patient centered). In fact it is becoming almost trendy at times and people who have no background in patient empowerment are moving into the space.. That is a good sign and one that shows we are maturing but now we need to help define the goals (vs move over for those who want power or money)and the conversation. We are no longer asking for a seat at the table – it is time the healthcare system came to ours and shared in the conversations we are having. Really really listen to what we are saying both in our speeches and in the still small moments of quiet pain and suffering that many patients endure while fighting for their own or their family members lives and their dignity. For those who don’t know, Sherry’s been doing this for a long, long time. EXTREMELY senior, and foundational work. > patient empowerment are moving into the space. I know – can you think of a way to define minimum criteria for credibility, in our view? So timely! I popped over to see what you were up to and perused your post. As you know, I too want to help drive the collaboration in this space… but also need to eat. Thank you for sharing your perspective on this topic. At this point I have been patient experience advising and speaking for just over a year. So far I have always been given transportation, meals and accommodation for my participation in conferences and talks. I’ve also had my conference fees waived. At this point, when I am building my credibility, this should be the least I am compensated? Also, how do you feel about strategically attending conferences (in my realm) to network and get my name out there? At my own expense – of course. When do you begin to ask people to pay you a speakers fee? What do you think of pursuing speaking agents? In my case I couldn’t do a thing. After cancer (and the crash of the housing market – another long story) I was so cash-poor that I couldn’t donate a thing. > When do you begin to ask people to pay you a speakers fee? Whenever you want. It’s up to you when to say “I simply cannot come without compensation for my time.” But as I said elsewhere, I urge speakers to beware of commercial events where they want you to donate your time so they can sell tickets. Those people are generally (not always) soul-suckers. Same for “strategically” attending conferences. Do it if you want, but HAVE A PLAN TO WORK HARD AT IT while you’re there. A PLAN for which sessions you’ll attend and whom you hope to meet. Too many people let “strategic” fall out of their mouth like a dropped gumball, when they can’t answer a single concrete/specific question about what they mean by that. Thanks for being so open. I appreciate it. Learning so much!! Thank you. Here’s a fresh example, from one of the big agencies in healthcare. I’m removing names because the people involved are good people but just don’t get it. After an initial phone call and exchange of emails I asked what specifically they’re asking me to do. The request is for your participation in one 2-hour webinar on the topic of [xxxx] which will explore the use for public reporting purposes of both systematic patient feedback and non-systematic feedback (i.e., patient narratives, like those found in TripAdvisor for hotels). Speakers on the webinar will include …. The ask: to speak for 20-30 minutes on the role of and need for of patient feedback into the performance improvement and transparency process, with a focus on what patients uniquely bring that clinical data cannot. There will be a brief Q&A at the end of your section and a larger Q&A after all speakers have finished. It would be unfortunate if this simply does not fit your schedule, and I understand how tightly booked you are. Still, [we] would love to have you on this program since you would be bringing your message to a new audience that would greatly benefit. Thanks for the kind words. I wish I could count how many people over the years have said they’d really appreciate hearing my thoughts for free. That line of thinking is perfect for academics or foundation employees or people with a day job in industry, but it’s not feasible for me. New audiences are encouraged to review the copious material that I’ve taken time to post on epatientdave.com and e-patients.net … hours of videos, hundreds of blog posts. I honestly can’t take the time to do that for them – if they review it then the next level of questions will be at a much deeper, more productive level. If there’s no value in reviewing that material then it would be a waste anyway, eh? So yeah, it was AHRQ iself (actually a contractor, Freeman Healthcare) that was asking me to participate in a webinar (in an off time zone, from Europe) for free. Well, that did not happen. This crap has to stop. Year after year our trillions of spending go up up up, and everyone wonders why, and most people studying the problem STILL see no value in patient time. I know there are exceptions – AHRQ projects where non-academic citizens are paid for their time. (I get tiny funding for my work on one.) But I believe we citizens need to stop participating in this “You’re not worth a penny” mistake. Erin Moore: “Your message did not fall on deaf ears.” Check it out! “I wanted to reach out to you to let you know that your comments regarding your participation at our meeting being not part of your ‘job’ did not fall on deaf ears. In addition to your time at the meeting, you also spent a lot of time planning prior to the meeting and working with us after the meeting to work through your expense reimbursement. Our team would like to compensate you for your time. We will include an honorarium for you for your time with your expense reimbursement.